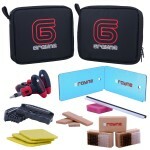 Grayne Complete Ski and Snowboard Tuning Kit: The ultimate tuning kit for all your snowboards and skis. Starting with a complete waxing setup, you get 20 grams of lightning fast all temp wax, large ultra-durable scraper, and a brass and nylon bristled brush, you can easily wax your board at home or on the go! Need some extra grip on icy or hardpack days? Make your edges razor sharp with the Dual Degree Edge Tool which gives you an 88 or 90 degree edge in seconds, simply pick your degree and slide down your edges! Got a screw or binding part coming loose? The 6 piece ratcheting screwdriver can tighten or take out any and every screw on your binding, featuring 5 different bits and 8 and 10mm wrench! Add in two P-Tex candles for filling gouges and core shots, a deburring and polishing stone for removing rust and burrs from your edge as well as quick detunes, and a nylon base pad and you have a full tuning shop at your disposal. 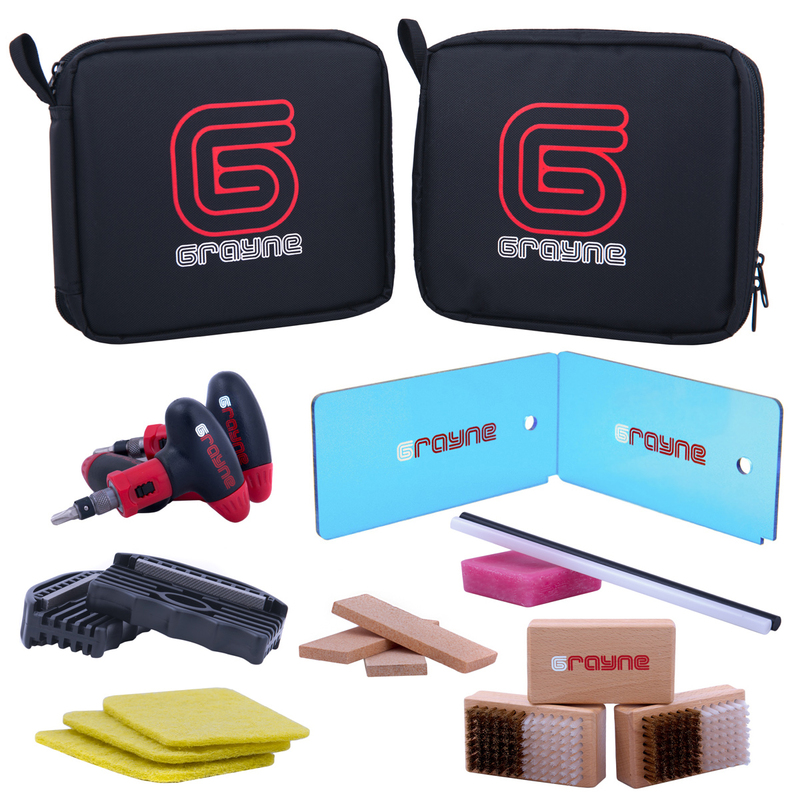 And the best part, this kits slim ballistic nylon case will easily fit right in your snowboard bag creating a fully stocked personal work shop wherever you go!